FrictionLabs Gorilla Grip Chalk 5oz is a chunky blend of chalk that mixes up a 50/50 balance of chunks and powder. Consisting of marble sized nuggets floating in a fine white powder, this chalk blend, like all FrictionLabs chalk blends, is specially engineered for climbing peak performance. No matter which blend you go with, it's going to be much better than anything else you've tried. Longer lasting, no harsh drying agents and better for your skin. Why is FrictionLabs Chalk so much better than the rest? Some people say, "chalk is chalk." Not true. 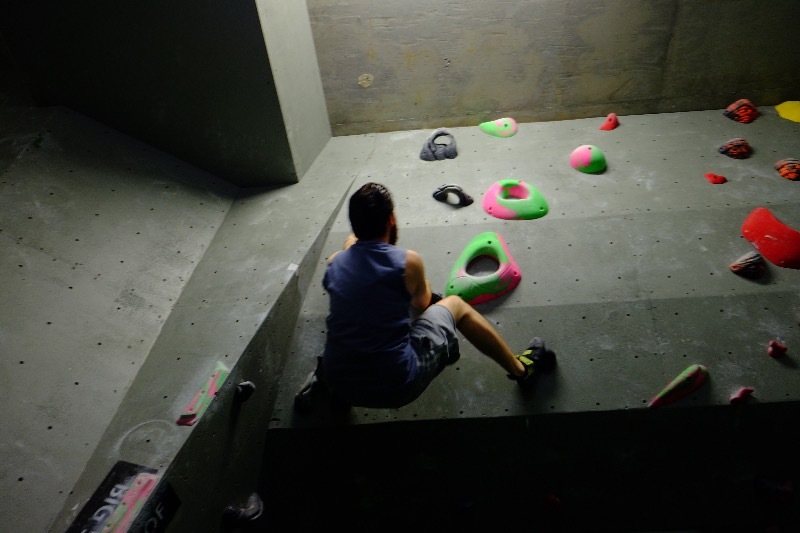 A team of world-class geologists and chemists recently conducted independent tests on 5 of the most common chalks for rock climbing. The results were clear: FrictionLabs chalk is the purest chalk and the best out there. What is rock climbing chalk? Chalk is mined as Dolomite, a mixture of Magnesium Carbonate, Calcium Carbonate, and numerous other compounds. When exposed to moisture, Magnesium Carbonate traps water molecules on the inside of its crystalline structure, leaving the surface dry. Calcium Carbonate attaches water to the outside of its structure, causing the surface to feel moist and slimy. Not a good characteristic for grip. All climbing chalks market themselves as Magnesium Carbonate, because that's what dries moisture the best. They mislead you into thinking it's only Magnesium Carbonate when the truth is that they all have significant amounts of Calcium Carbonate and other fillers. Calcium Carbonate - the same stuff as chalk board chalk - just gets slimy when mixed with moisture. When you sweat, keeping your hands dry depends on having chalk that has high amounts of Magnesium Carbonate and low amounts of Calcium Carbonate. Friction Labs had an independent lab test their chalk against the most popular options to see what they're made of. They concluded that, gram for gram, Friction Labs contained over 50% more Magnesium Carbonate than their closest competitor. Friction Labs use a proprietary process to create high performance chalk with an extremely high Mg:Ca ratio. Because climbers have different texture preferences, FL make their chalk into 3 distinct blends: Bam Bam (Super Chunky), Gorilla Grip (Chunky) and Unicorn Dust (Fine). If you want dry hands for longer and maximum grip, you want FrictionLabs chalk. To quote an expert on; porridge, chairs and beds. "This one was just right". Having tried a few other brands that my friends had bought (both the liquid chalk and chalk balls) I'd settled on this one. I'm a novice who's been climbing almost entirely for the last year and few months completing up to V5 without any chalk. This is the first brand and grade of coarseness that I've found doesn't dry out my hands and tear them or cause them to start sweating profusely. It's absolutely marvellous and as such I haven't stopped using it for the last two months on almost all of my climbs. Thanks for this product, the astoundingly speedy delivery and the great service.